Stoke Newington Area Guide - What makes Stoke Newington so great? Where do Stoke Newington locals go? Share your favourite place to go to in Stoke Newington. "London's non-denominational Magnificent Seven burial garden, Abney Park cemetery is perhaps more renowned for the sheer amount of trees than its residents. Over 2500 trees are planted alphabetically in a perimeter around the park." Clissold Park is the perfect place for a day out with the kids - there's animal enclosures, a lovely café and lakes to explore. Stoke Newington has everything you can want in one postcode. Some of the best theatres, bars, and restaurants. Stoke Newington is a great distance from central London. The place is very relaxed, there are brilliant park and woodland areas to spot owls etc and the cafes, pub/bars and shops are great. It is also walking distance from Dalston and Hackney Central. Perfect spot for me! I live opposite wonderfully kept Clissold Park, which is great for running and taking a stroll around. There is a wide selection of cafes, bars and restaurants to choose from when the mood or necessity takes you. There is a good library with friendly librarians, an annual literary festival, good bus links to central London and the proximity of London Overground is very helpful too. What do you think of Stoke Newington? 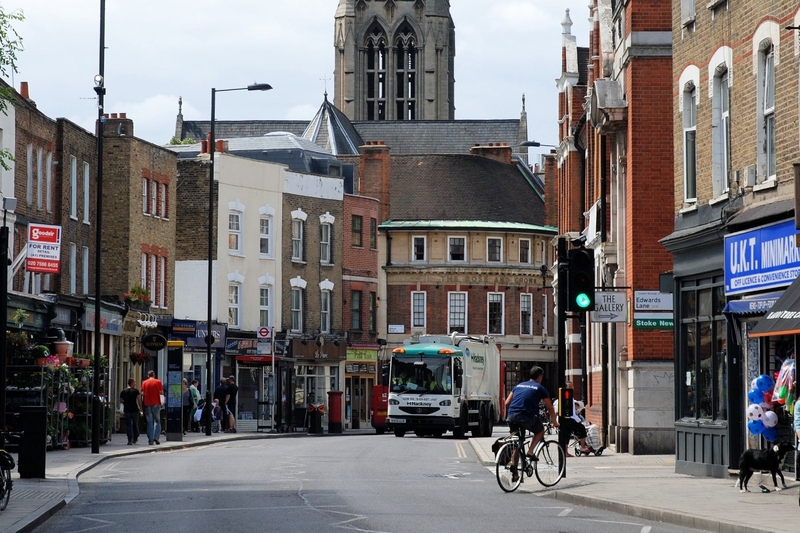 Stoke Newington is a district in the London Borough of Hackney. It is 5 miles (8 km) north-east of Charing Cross. Stoke Newington can be roughly defined by the N16 postcode area (though this also includes parts of Stamford Hill and the almost extinct district of Shacklewell). Its southern boundary with Dalston is quite ill-defined too. For one small district, Stoke Newington is endowed with a generous amount of open space. To its north, there is the extensive West Reservoir, now a non-working facility, but open for leisure and surrounded by greenspace. South of there is Clissold Park, an extensive swathe of parkland complete with a small menagerie, aviary and Clissold Mansion, a Grade II listed building. Stoke Newington is a very multicultural area. What are your favourite things about Stoke Newington? Find out how much your flat or house is worth om Stoke Newington. Feedback about living in Stoke Newington has been submitted directly by the public and may not neccessarily reflect the views of Foxtons. The description of Stoke Newington was modified from Wikipedia and is available under the Creative Commons licence. Land Registry data is Crown copyright. All the views and contributions contained within Foxtons Local Life are those of the contributors. All content is assessed before publishing for taste, however free opinion is encouraged. Foxtons accept no payment or sponsorship for content that is posted about Stoke Newington.